I am both mindful and respectful of divergent political and emotional responses to the current political climate. Nonetheless, I am concerned about how this has affected those I am in a position of helping as a psychotherapist. The language used by patients to express their reactions and feelings to current goings-on in Washington is quite revealing and covers a great deal of emotional territory. The traditional hopes and expectations of a person serving our country as our president and the character attributes associated with that highest office–”strong leadership qualities,” “stabilizing force,” “highly respected,” “excellent judgment”–have, most regrettably, been dashed for some and replaced by such terms as “unsafe,” “unpredictable,” “worrisome” and even “scary and erratic.” In addition, the difficulty in being able to comfortably rely on congressional leaders exacerbates the fears being expressed. For these patients, some report symptoms such as disrupted sleep, obsessive preoccupation with unfolding developments, anger that spreads beyond daily Washington developments, and negative thoughts and ideas directed at political figures who appear to be supportive of what they feel to be unconscionable political and social developments. Perhaps the term I hear most often from people who are seriously reactive to the current political-emotional climate is “unsafe.” For many, a consequence of feeling chronically unsafe can lead to a state known as “anticipatory anxiety.” This is something that we all might feel when we are about to face a situation that may cause a feeling of uncertainty and vulnerability. Common instances are familiar to all of us: fear of flying, public speaking, or unfamiliar social environments. Often, physical symptoms result, the most common being a racing heart, sweaty palms, stomach distress, and a constricted throat. Typically, this type of anxiety is activated when the threatening or fearful situation is imminent or, perhaps, days away. People who fear flying, for example, often report significant anxiety days before a scheduled flight, but also report an easing of or complete absence of anxiety when on the plane. In this circumstance, the anticipatory anxiety has a predictable end-point that makes the anxious experience short-lived. Frequently, patients who describe what sounds like anticipatory anxiety about the current political climate and its consequences for their lives have distinguished it from the anxiety that they know to be time-limited because the feared event will eventually occur and then be over. Fear of flying, for example, has a predictable end, thus making it easier to tolerate and endure for some. Not so with a source of anxiety that requires extraordinary tolerance since anything resembling relief or change may not occur until the next national election or an end to the president’s term of office before that time. This has led many to experience a more chronic level of anxiety from which no relief is readily apparent. Some common reactions to anxiety such as anger, hopelessness, confusion, a feeling of being out of control, sadness, irritability, moodiness, and a preoccupation with the fear have all been reported by those having significant reactions to the current climate in our country. Unfortunately, the treatment options available for conventional anticipatory anxiety often do not apply to the causal factors involved in the type of anxiety I am discussing here. Cognitive behavioral therapy approaches, for example, may involve directly facing the source of the fear in a measured way in the hope that the more you face it, the more you get to know how to deal with it and the less anxiety is generated. “Facing it” often helps if the source of the fear a specific object, like dogs. In our case, some would argue, “facing it” is nearly impossible since the source of the fear is ubiquitous and comes via the media on a daily basis. 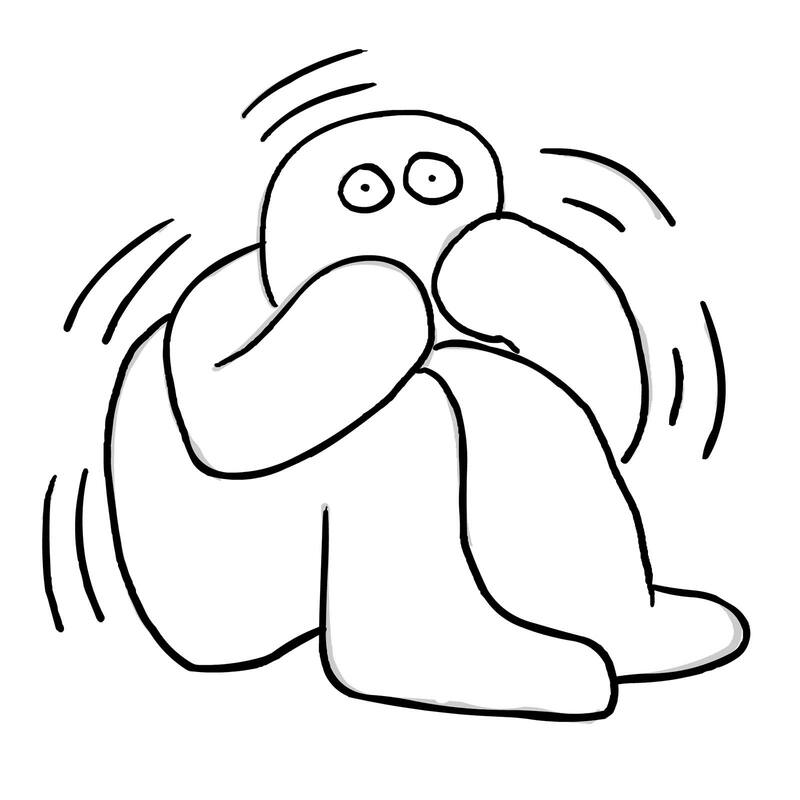 Although exposure to the anxiety experience is often recommended, in this instance due to the minute by minute media coverage, people are often feeling overexposed or re-triggered. Another helpful approach is social support: there may be some comfort in meeting others who feel as we do which has a tendency to calm us. “We’re all in this together” may provide some help, however it does not reduce the source of the stress that causes anxiety. Also, one may encounter people with strongly opposing points of view again creating additional anxiety. Regrettably, there is no way to lessen or eliminate the source of the anticipatory anxiety discussed in this commentary, at least not in the foreseeable future. Medication has been sought by some, however there is a reluctance to view this as representing a long-term solution of any kind. Everyone needs to find healthy and efficacious coping strategies to manage our anxious feelings and hope that conditions change–or at least not get worse–so that one can successfully go about the business of living life fully and productively and without greater consequences.